"The county was named for James Hamilton, a South Carolina governor who invested some $216,000 in gold to finance the Texas struggle for independence from Mexico. asking that a new county be formed to accommodate their needs. 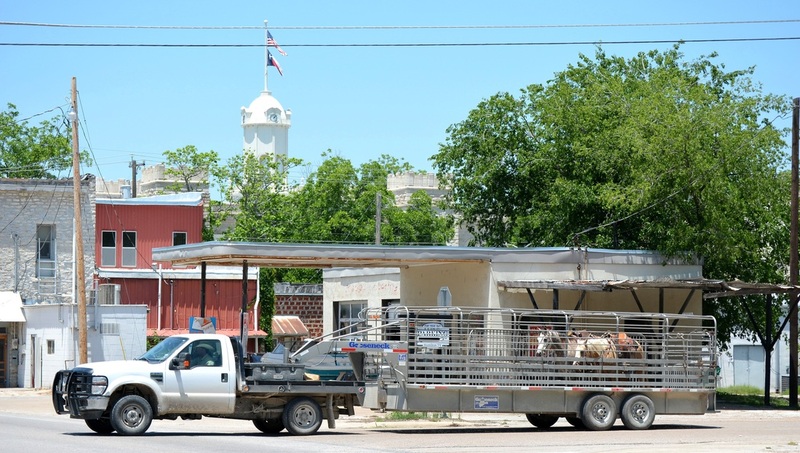 Later that year the Texas legislature approved the request and marked off Hamilton County from land previously assigned to Comanche, Bosque, and Lampasas counties. 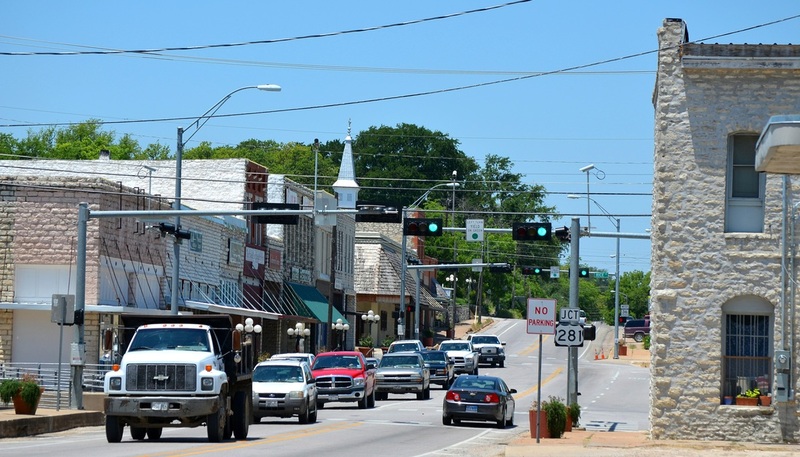 Two years later a five-man commission selected the town of Hamilton to be the county seat. 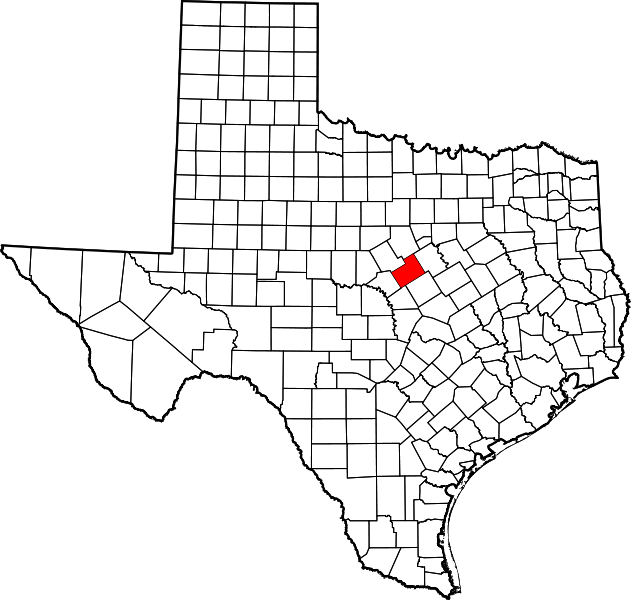 "By 1860, when the county's first post office was established at the hamlet of Hico, the county included several small but well-established com-munities; that year the census found 489 residents. 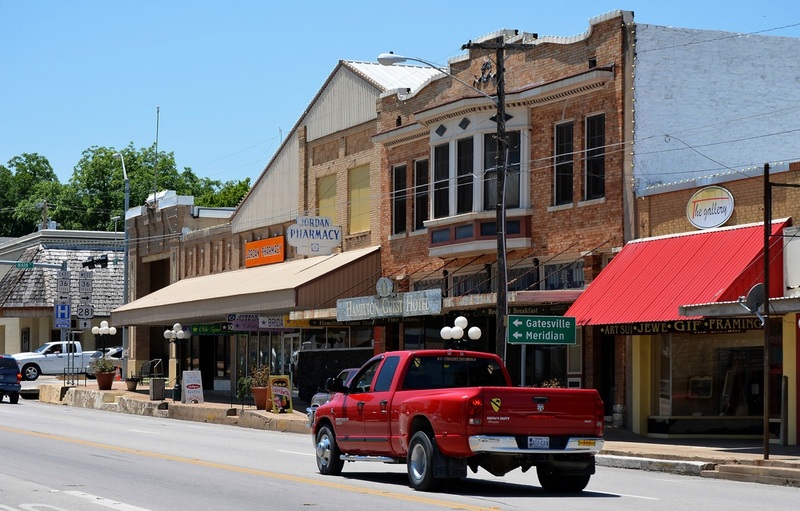 Hamilton calls itself the dove-hunting capital of Texas and holds an Annual Dove Festival at the late-summer opening of the dove-hunting season. 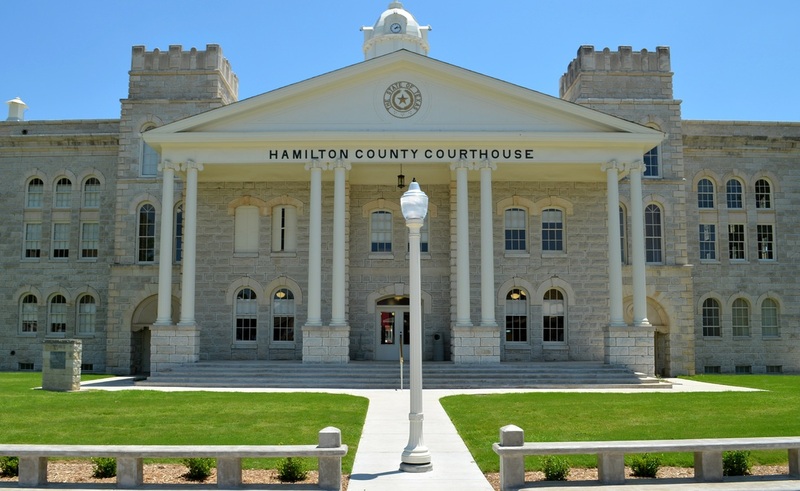 I visited Hamilton County and photographed the courthouse in Hamilton on June 22, 2011 and again on May 17, 2012. 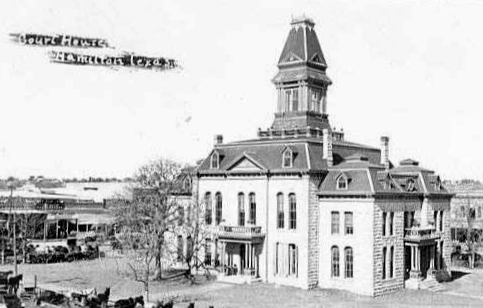 "The original  design of the Hamilton County Courthouse was similar to that of many other courthouses built in the state during the 1880s. The ground floor plan was divided into office quadrants by north-south and east-west corridors extending through the building. On the second floor was a spacious courtroom. 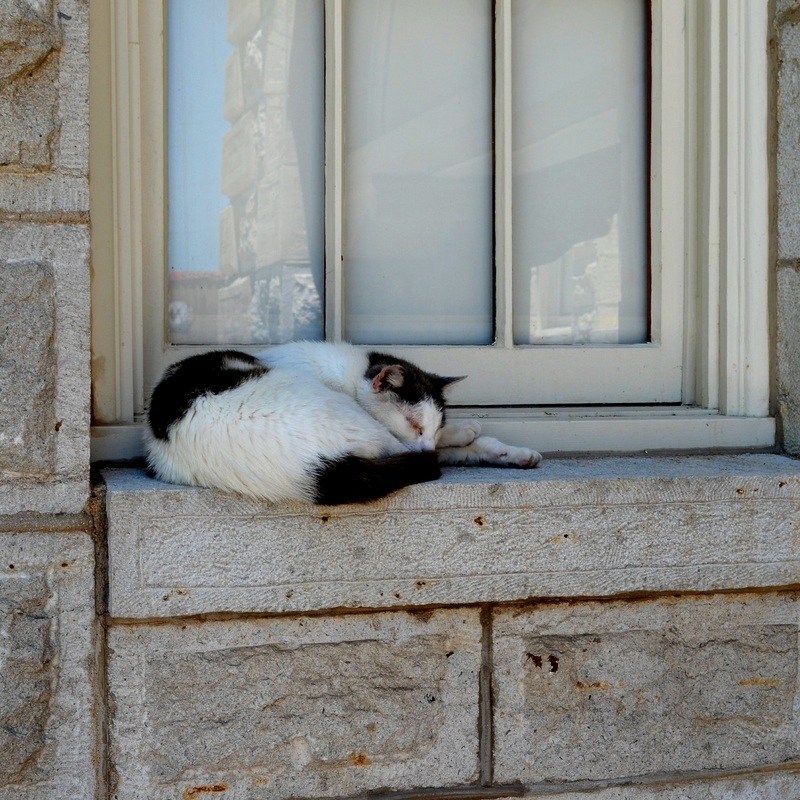 "As was characteristic of Victorian courthouses, a variety of stone-work was employed to enhance the edifice in Hamilton. 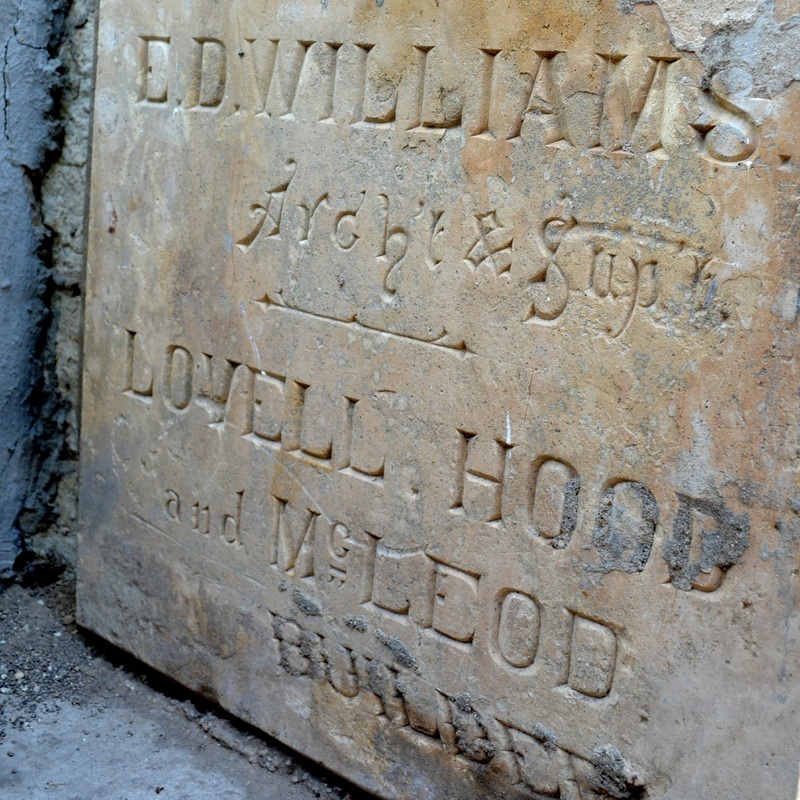 Walls were quarry-faced ashlar limestone. Window openings on the ground level were spanned with Roman arches with cut-stone voussoirs; those on the second level were spanned with stilted arches. 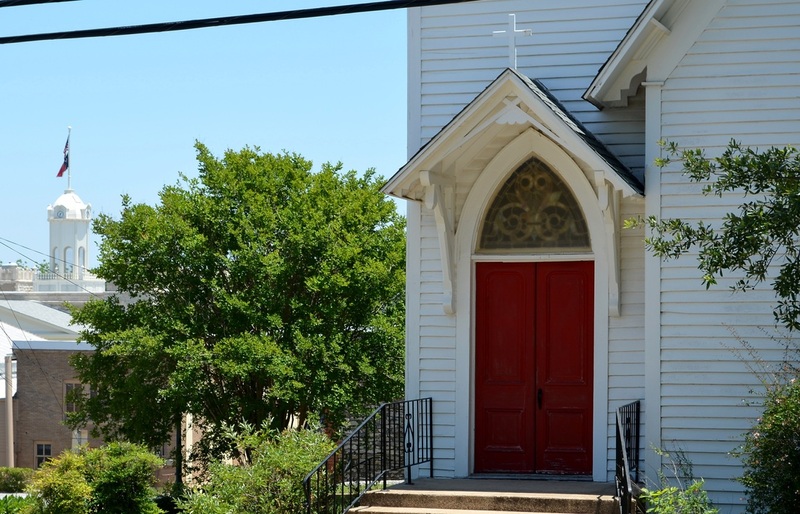 "In 1931-1932 the  building was enlarged. 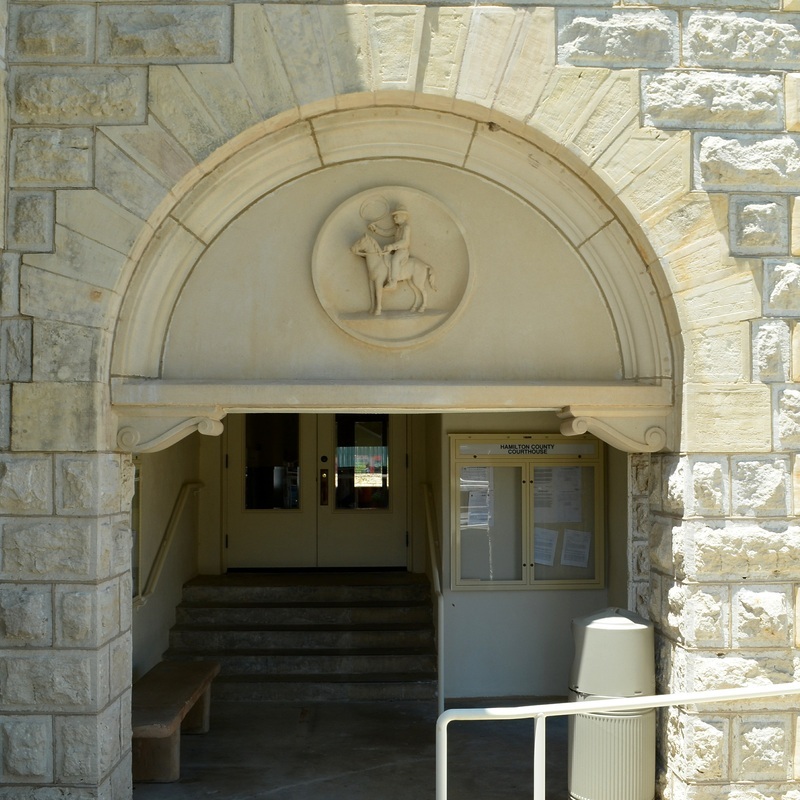 Following plans prepared by E. M. Miles, contractor J. C. Ray and Sons changed the character of the building. 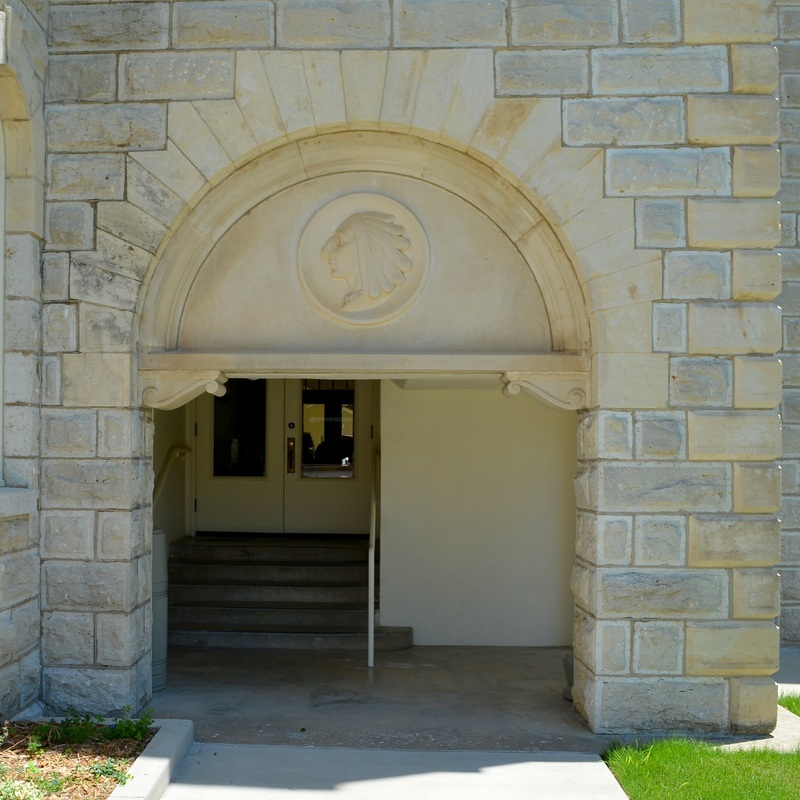 Wings were added to the north and south and porticoes with tri-angular pediments were added to the east and west. Square towers rising above the roof lines provided a transition between the new and the old. 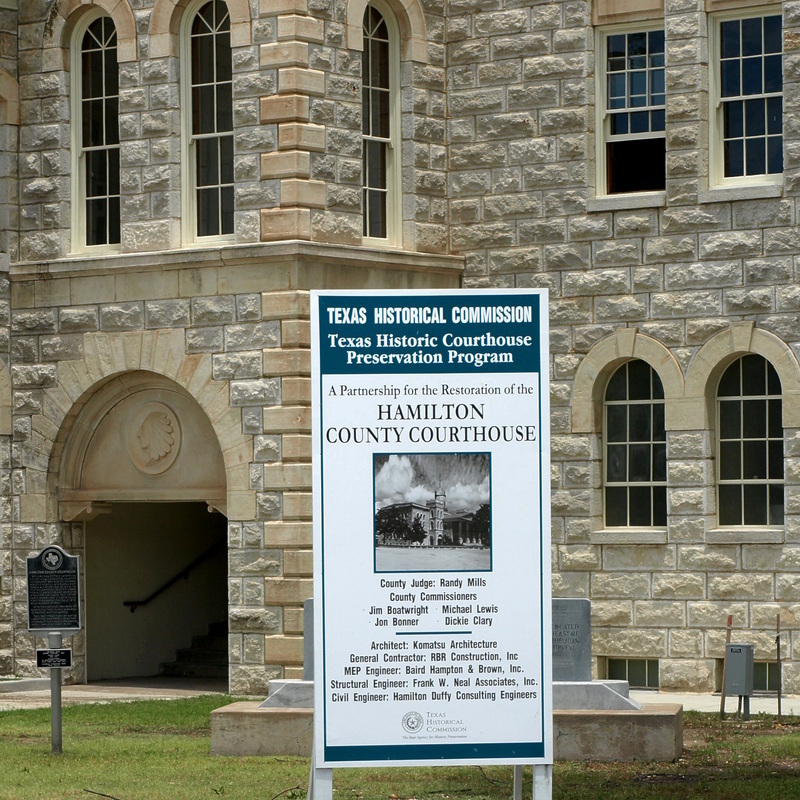 The Hamilton County courthouse was recently restored through the Texas Historic Courthouse Preservation Program. 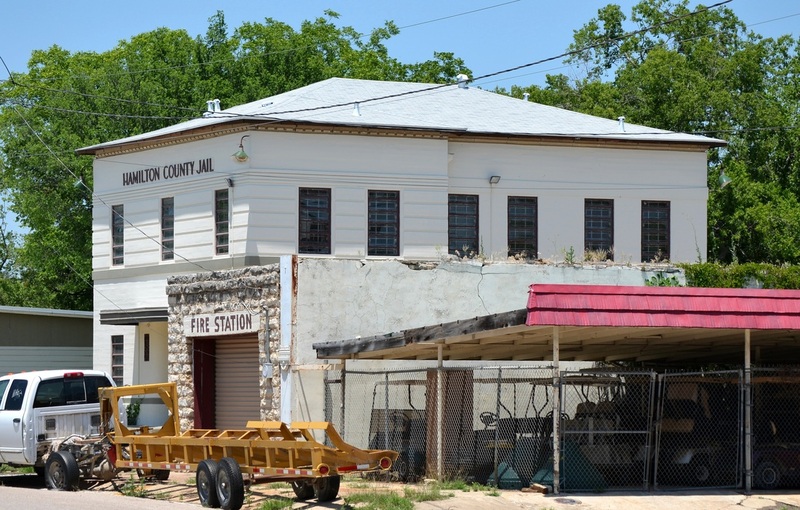 Komatsu Architecture, Fort Worth, lead the restoration project desing team. The tower was damaged in 1939 and permanently removed. It's been recreated. 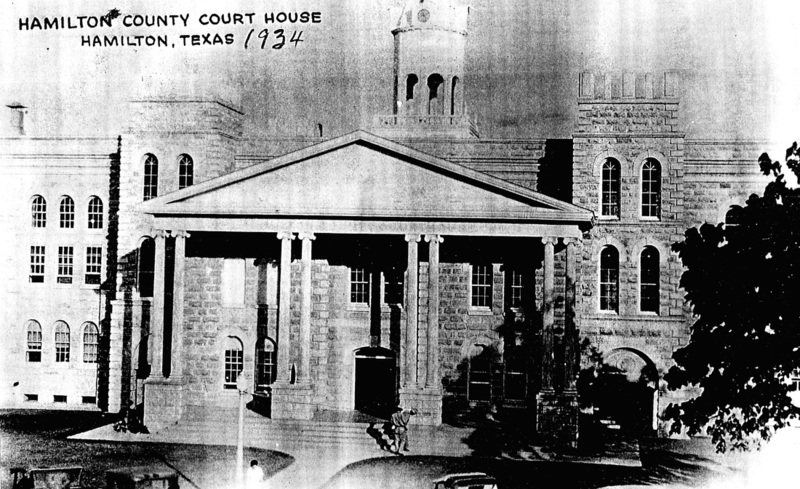 The west facade of the courthouse faces N. Rice Street. N. Rice Street viewed from the square. 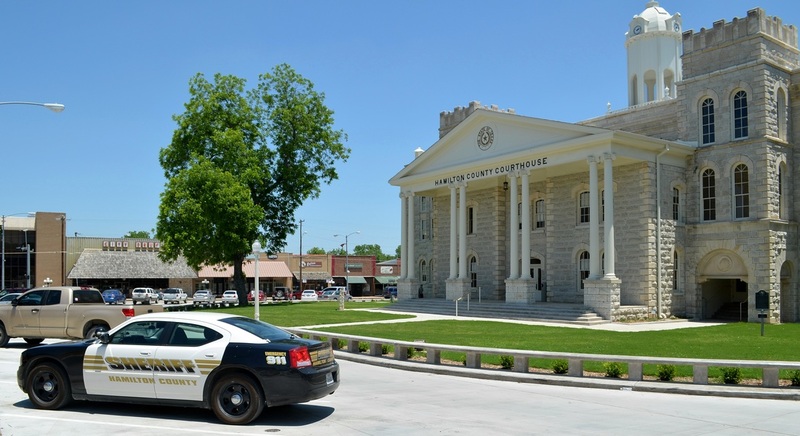 The courthouse square is bordered on the west by U.S. Highway 281 and on the south by Texas Highway 36. Looking west on Texas 36 towards the intersection with U.S.281. The courthouse tower is visible from Texas 36. 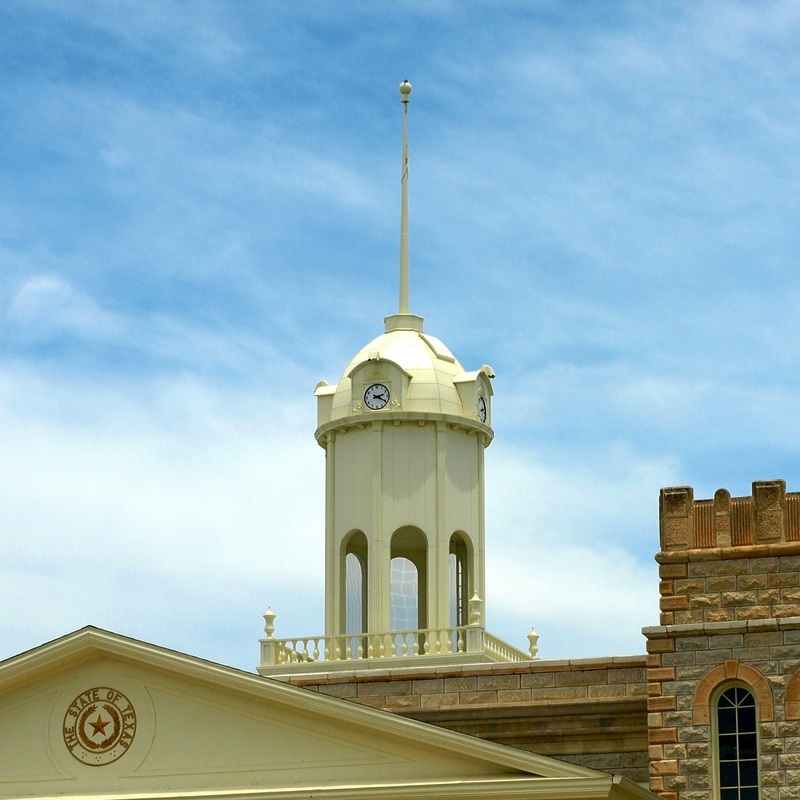 The courthouse tower and the historic Hamilton Episcopal Church. 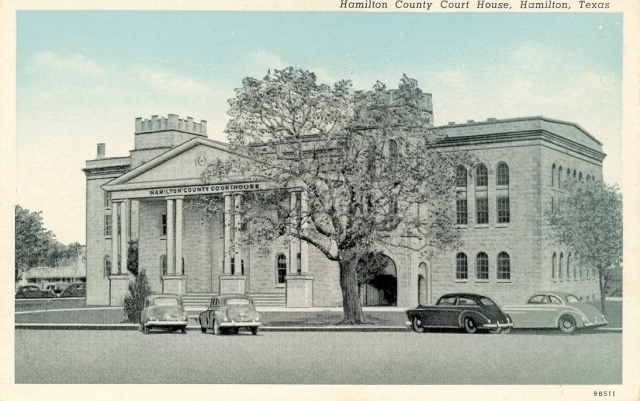 The pedimented west facade of the Hamilton County courthouse. 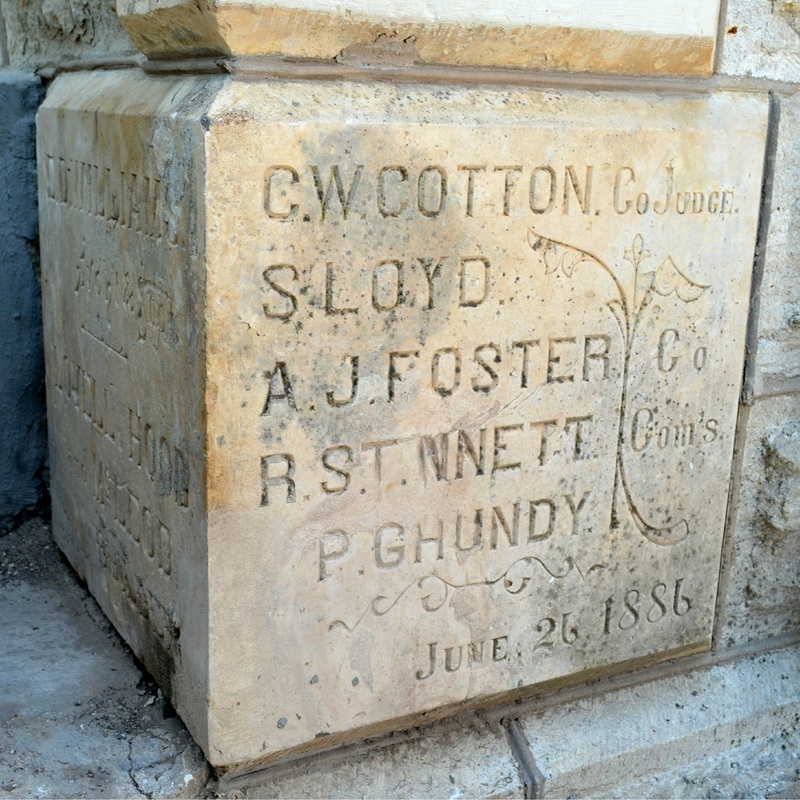 The 1886 cornerstone is visible on the northeast corner of the courthouse. 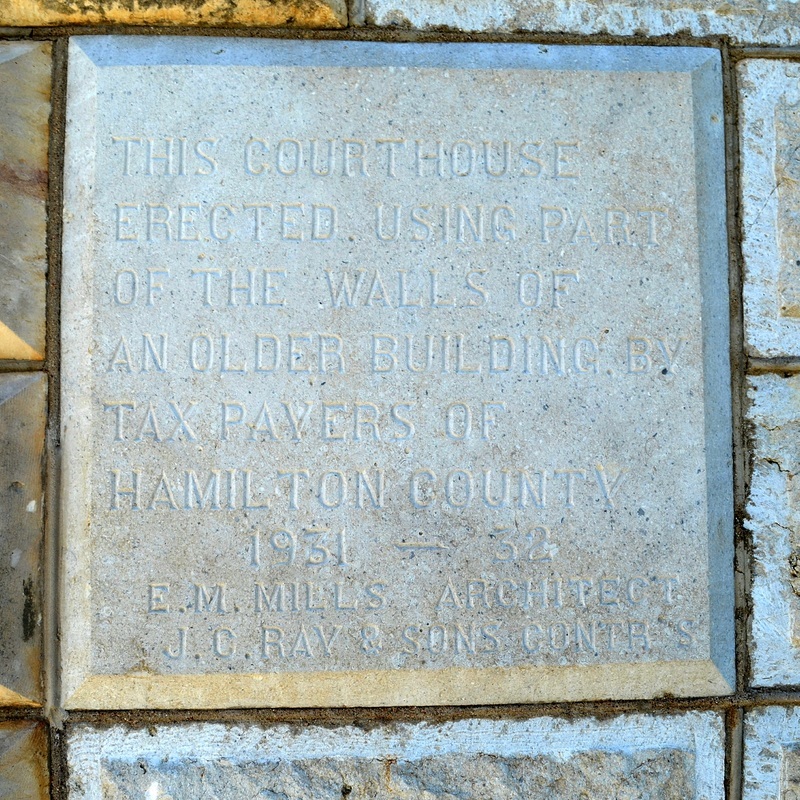 The 1931 building stone makes clear that the "new" courthouse used "parts of the walls an older building." 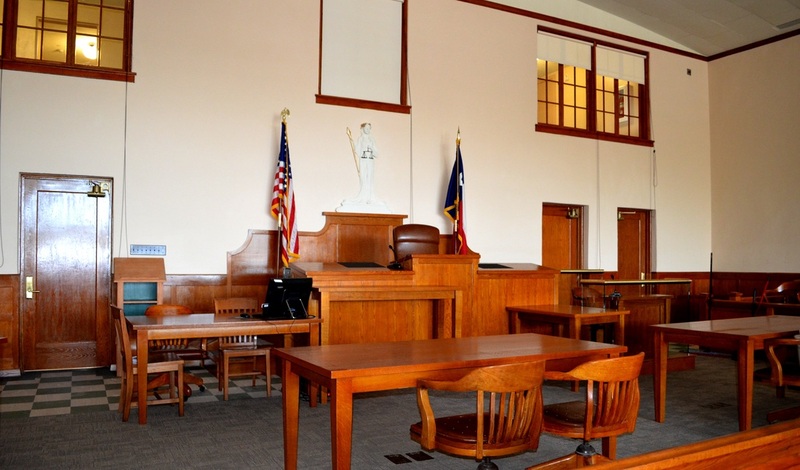 The front of the second floor courtroom. 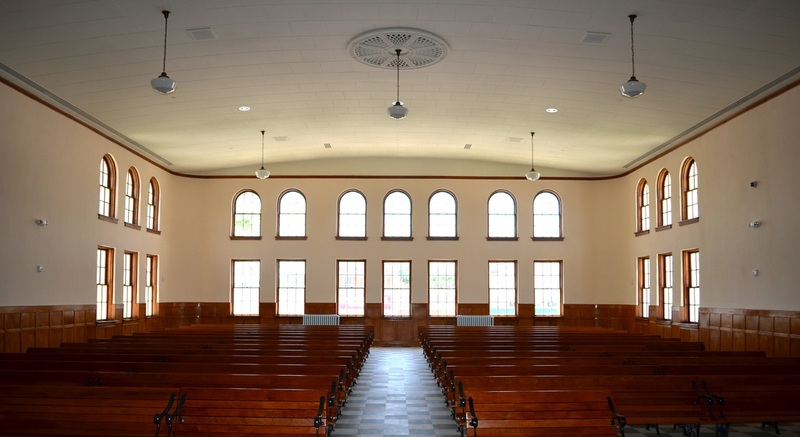 The large second floor courtroom on the south side of the building. The Hamilton County Annex at the corner of N. Rice and Henry on the northwest corner of the square. 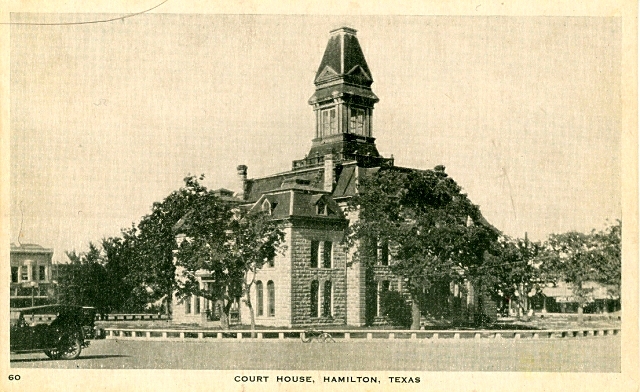 The Hamilton County Jail on Henry Street.